This month, the President rescinded the DACA program, which protects immigrants brought to the U.S. as children from being deported. DREAMers are our friends, neighbors, and coworkers working toward the American Dream and driving our economy. 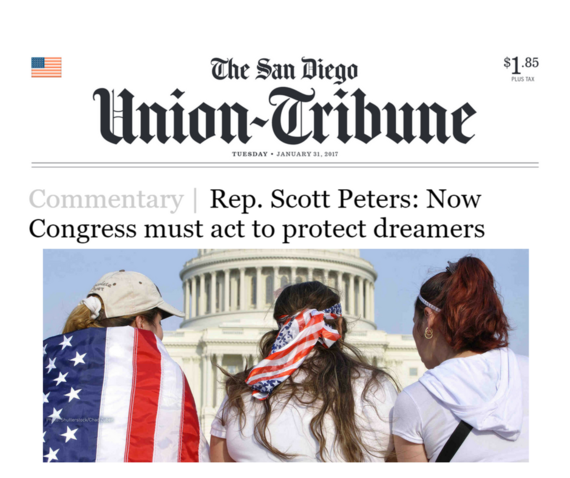 I wanted to share a recent op-ed I wrote calling on Congress to pass the Dream Act and protect the 38,000 Dreamers that call San Diego home. I hope you will take a moment to read it in the Union Tribune. As your representative, I'd like to know where you stand. Share your thoughts and join my email updates. Do you think Congress should pass the DREAM Act? Yes, we need to protect DREAMers. No, we should end the DACA program. 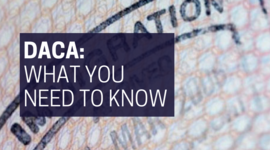 Wondering how proposed changes to DACA could affect you? Check out our guide. Stay updated on how we're working to defend DACA and other priorities for San Diego.